Originally published in partnership with The Sanguine Gryphon (sadly, no longer in existence), it was inspired by images of Parterre Gardens (but you probably could have guessed that.) The idea was to create small groupings of flowers contained within fences of cables and migrating decreases. Sections after section of flowers were placed next to and on top of each other to cascade down the shawl and create the idea of an overflowing garden. It turns out that this color is amazingly hard to photograph. 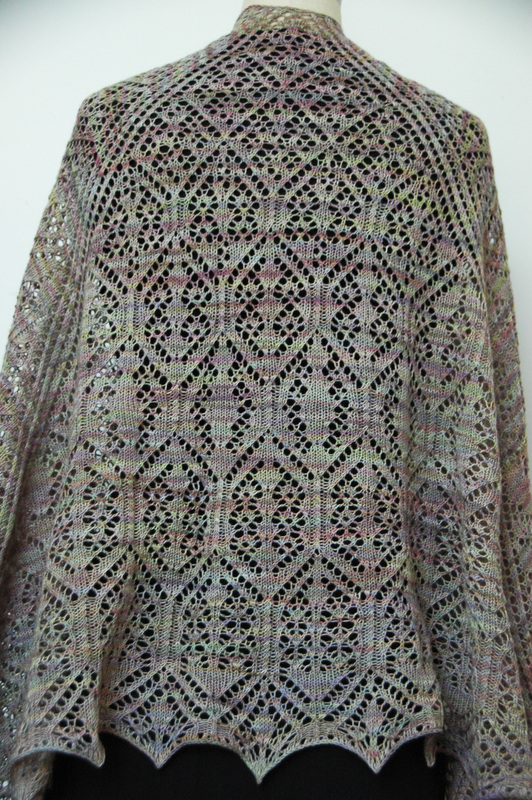 It’s a combination of pastel greens, yellows, pinks, purples, and is really very beautiful (though not my normal colors), but tricky to photograph. 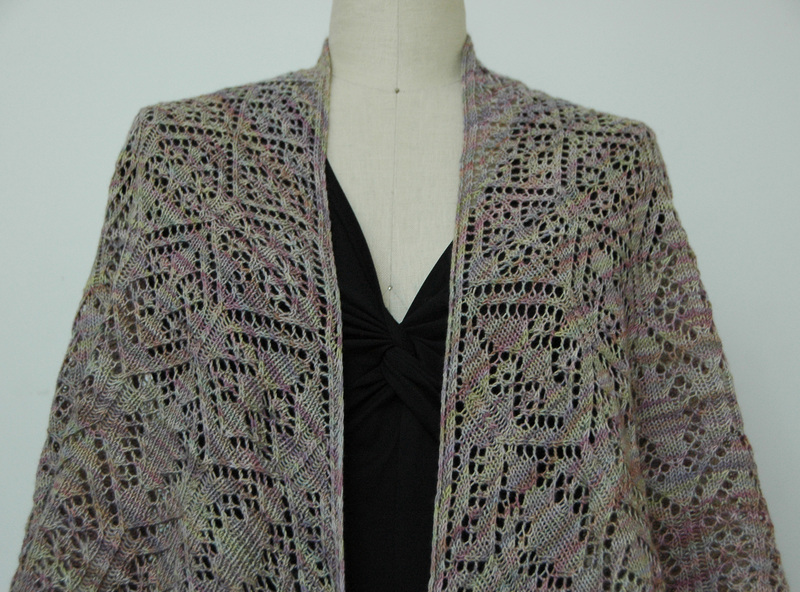 Maybe at some point I’ll knit this again in a solid or semi-solid colorway. 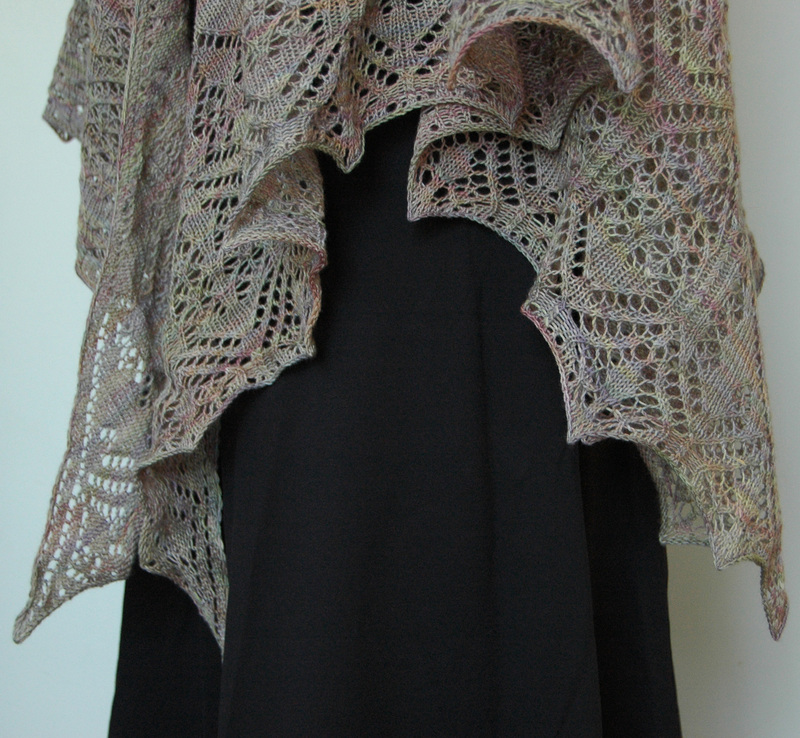 The pattern for this shawl, along with Zodiac le Plume and Gene Tierney, the divine (all originally published with the Sanguine Gryphon) with be republished tomorrow. turned out looking beautiful, well done!